If you want to move to North Carolina, now is a great time for considering it. The population is growing but, depending on where you go, not fast enough to keep you from finding an affordable place to live. As of 2018, each day, an average of 60 people were moving to Charlotte. That’s an impressive statistic for what is already the state’s largest city, showing just how lively urban parts of North Carolina have become. As of 2017, the population of North Carolina was more than 10 million people. You won’t find a ton of people living in the western part of the state, a region that’s informally divided into three regions. Generally, most of the state’s population resides in Central North Carolina, while the western and eastern portions have fewer people. 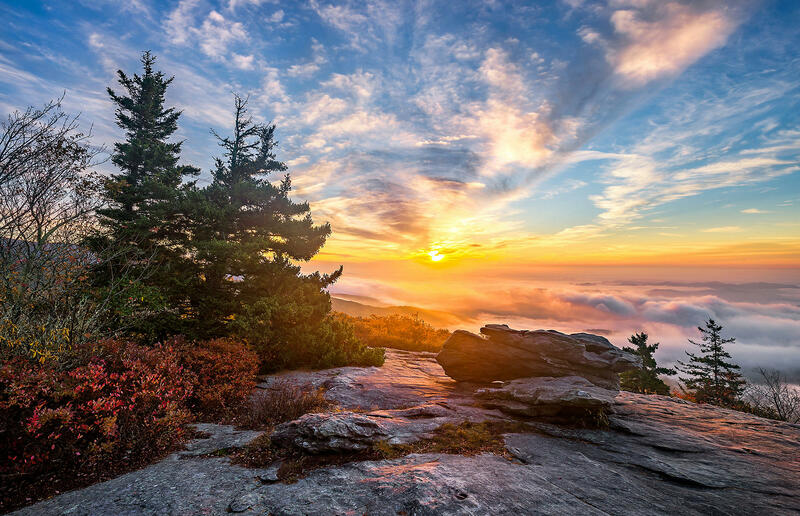 The western part of the state may also be referred to as the Mountain region thanks to the presence of the Appalachian Mountains. The resort town of Asheville is one of the only cities with a population of over 40,000. In fact, many counties come in below the 40,000-person mark. That can be good and bad news, though. If you’re looking for land for sale NC, you’ll find plenty of it in places like Ashe County where the population is just under 30,000 people. Ashe County’s spectacular views make it the perfect place to purchase a log cabin or summer home. There’s also a fair amount of undeveloped land available for purchase. You can take a tract of land and turn it into your dream house, including all the features you want by building from scratch. You can pick out every feature from the slab foundation to the Everdrain roof, and won’t have to worry about being cramped or crowded in this part of the state. At that point, your nearest neighbor could be a half-mile or more away. If you like solitude, you can get that in Western North Carolina. For something a little more vibrant, though, the state has got a ton of options as well. Charlotte is a major banking center with a population that’s rapidly approaching 900,000. It’s home to a ton of sports teams, including the NBA’s Charlotte Hornets and the NFL’s Carolina Panthers. And, if your lane is more about roaring engines and impossible speeds, then you’ll be glad to know that Charlotte is also home to the NASCAR Hall of Fame. Raleigh, North Carolina’s state capital, is also a robust city. It’s got a more political and academic reputation. The political reputation is obvious, but not everyone knows just how many quality colleges are located in the area. The cities of Raleigh, Chapel Hill, and Durham collectively make up an area known as the Golden Triangle. Raleigh is home to North Carolina State University. Chapel Hill has the University of North Carolina, while Durham is home to the private Duke University. The rivalry between the colleges is fierce, especially when it comes to basketball. And, you can’t mention living in North Carolina without also discussing barbecue. The type of barbecue varies a little depending on which part of the state you’re in, but that just means you’re more likely to find something that makes your mouth water, especially if you’re in a heavily populated area. It might be the vinegary sauce of Eastern Carolina-style barbecue, it might be the ketchup-and-vinegar sauce that’s more common in Western Carolina. The latter is also more likely to get served with slaw. Either way, your taste buds can’t lose when you live in a place like North Carolina.